Chewbacca, (born a long long time ago), also known as Chewie by his friends, was a legendary wookie, smuggler, first mate, and co-pilot, but became best known for his short stint as a player for the Rebel Alliance Basketball Team. As a fan favorite, each time Chewie got possession of the basketball, a stadium full of his fans would unanimously shout the phrase “Stop…Wookie time!”, Chewie would then perform one of his near gravity defying, artistic slam dunks to the delight of the audience. 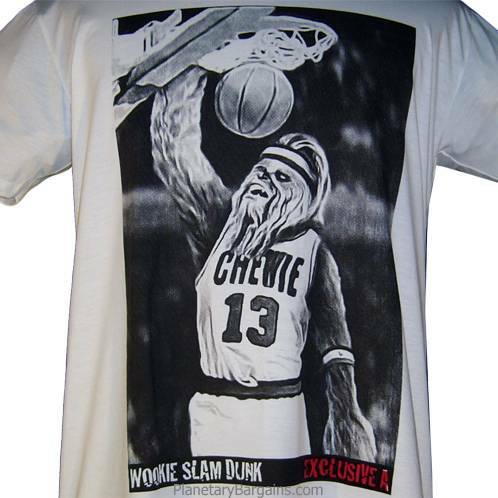 Chewie later cashed in on his fame by launching a series of high top basketball shoes named “Air Chewies.” Chewie’s monetization of his fame caused a small number of people to call Chewbacca a sell out, but after the wookie ripped some of their arms off, no more complaints were heard.